Sheffield is one of the best towns in South Yorkshire to have a cocktail making class. If you are looking to get behind the bar and make cocktails while having a lot of fun then you have come to the right place. 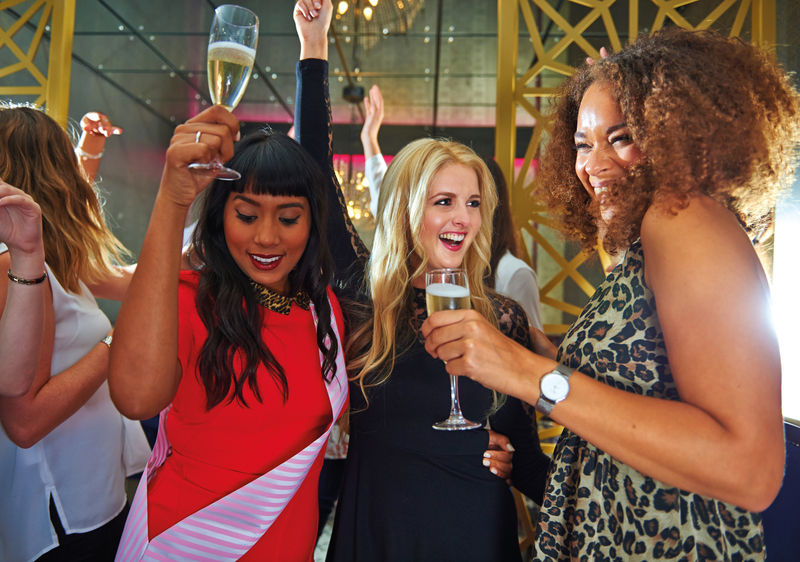 Ideal cocktail classes for hen parties, birthday cocktails and corporate events. Sheffield has a great party vibe and is definitely a place to visit if you want to have a fun night out. The town centre is full of great bars and venues where you can learn how to make your own cocktails and then party the night away. With our cocktail making classes you will have a dedicated bartender who will show you how to make cocktails like a pro. We organise your cocktail party according to your group. If you are looking to party during your hen night then we have party venues in the centre of Sheffield. If you’re looking for something a little more sophisticated then we can send you to one of our rum bars where you will make Cuban style cocktails. We also have hotels where we can hold the cocktail lessons to fit in with your group. No matter what type of cocktail making class you are looking for we will organise it for you. Because this is a class for your group only, every person in your party gets to make and shake the cocktails before of course drinking them. You will learn a little bit about the history of some of the classic cocktails which you love to order as well as some of the modern concoctions in today’s trendy bars in Sheffield. Learn from our mixologists what ingredients go into your favourite cocktails and which class this should be served in. Find out if you should use a martini glass or at all class for the drinks you are making and discover why James Bond preferred shaken not stirred. All in all we organise fun cocktail making classes in Sheffield for your group whether you are a bride to be and organising a hen party or celebrating a special birthday. These cocktail classes are even fantastic for teambuilding events or Christmas night out. During the day you can spend time wandering around the shops or going for a leisurely walk in this very green city. Did you know that over 60% of Sheffield is green space which allows you to have a really relaxing day before visiting the party areas in Sheffield town centre. You can have your cocktail class any day of the week starting at lunchtime right into the early evening. Most of our cocktail class packages in Sheffield come with food which can be upgraded to a 2 or 3 course meal if required. So don’t wait any longer, get in touch and we will organise your party with little stress and lots of fun. There is a delicious type of drink that is well known for tantalizing the taste buds. A beverage laden with alcohol of the highest grade but instead of clouding, clears and relaxes the mind of the drinker as he/she sips slowly. This liquid ambrosia is the drink of choice for many men and woman and it helps fortify bonds between friends and colleagues. What do you call this drink? It’s none other than the famous “cocktail”. There are masters who mix, shake, stir and present these drinks in a way that it can even rival the wine brewers of Dionysus himself. Would you like to become one of these pros? Would you like to create your favourite cocktails and wow your friends in the future? MyCocktailMasterclass.co.uk can give you this opportunity when you call and book a cocktail making class, which is a perfect addition to an event such as birthdays, corporate team building events and bachelorette parties. Cocktail making classes in Sheffield. Have you called us yet to book your cocktail lesson? MyCocktailMasterclass.co.uk is the specialist in the cocktail making business. We will guide you in selecting the perfect venue in Sheffield as well as how to make the best of your event.